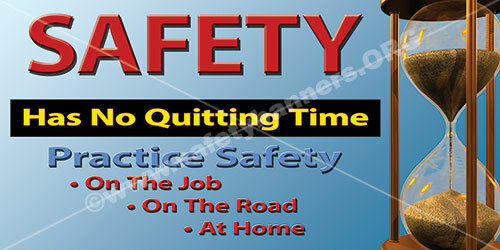 Industrial Safety Banners are a key component of most American industrial facilities who are concerned abut keeping their employees safe and productive. 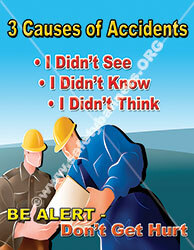 Industrial Safety Banners prominently displayed in your facility are a great way to attract attention to important safety goals and remind people to work safely. . Safety Banners help make a positive workplace, promote your safety goals and safety awareness, and establish a common theme. Safety Banners are available from SafetyBanners.Org in a wide range of materials and designs and multiple sizes plus in both the horizontal and vertical format. Banners come in two orientations, horizontal and vertical, which ensures that you can find the appropriate Safety Banner to fit in any location. Our banners are durable and will last in just about any indoor or outdoor environment. All of our banners are easily ordered through our website or give us a call and we can take your banner order over the phone. 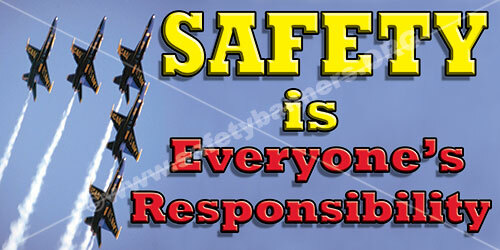 Choose a safety theme / design from our extensive selection of standard choices. All our items can be customized with your logo, company name, colors, specific images, or your personal safety message. 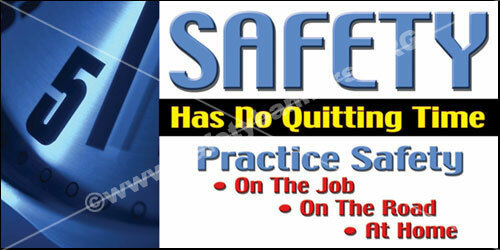 Realize the safety potential of your industrial facility and your workforce with Safety Banners from SafetyBanners.Org.